No matter how you feel about it, marijuana is still harmful for youth. Marijuana is made from the hemp plant, Cannabis sativa, which is a green and brownish plant. Marijuana is a mixture of greenish-gray, dried and shredded leaves, stems, seeds, and/or flowers. Some common ways this abused drug is taken is smoked or eaten (mixed in food or brewed as tea). The main psychoactive chemical in Marijuana is THC (Tetrahydrocannabinol). Marijuana’s short term effects are enhanced sensory perception and euphoria followed by drowsiness/relaxation; slowed reaction time; problems with balance and coordination; increased heart rate and appetite; problems with learning; anxiety. Some long term effects include mental health problems, chronic cough, and frequent respiratory infections. In rare cases, risk of recurrent episodes of severe nausea and vomiting. According to the 2018 MiPHY, youth in Branch County are starting to use Marijuana at the age of 14. No matter how you feel about Marijuana, the part of the brain that controls reasoning and impulses — known as the prefrontal cortex — does not fully mature until the age of 25. Youth: May impair brain development and learning functions. Pregnancy: Babies can be born with problems with attention, memory, and problem solving. How do you talk to a teen about it? Where do you start? What do you say? We’re here to help. Between legalization, increased normalization in pop culture and new ways of using (edibles, vaporizers, liquids), it’s becoming more and more complicated to know how to address marijuana use with your kids. BCSATF has partnered with The Talk Sooner Campaign to get their message, “No matter how you feel about marijuana, it’s still bad for youth” out in our community. Since the topic of marijuana is so controversial these days, Talk Sooner focuses on the youth aspect and that no matter what your opinion might be regarding marijuana, it’s still harmful to youth and their developing brain. The Talk Sooner Campaign aims to reduce marijuana use in youth by providing parents and caregivers with information and resources they need to start addressing the issue of marijuana with their children early through conversations. 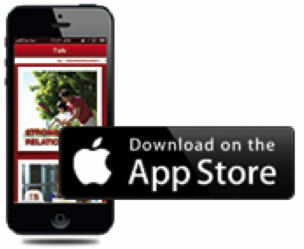 There is also a FREE Talk Sooner App that is available that provides parents with additional tips on how to talk to youth as well as explanations of current drug trends to keep parents updated.